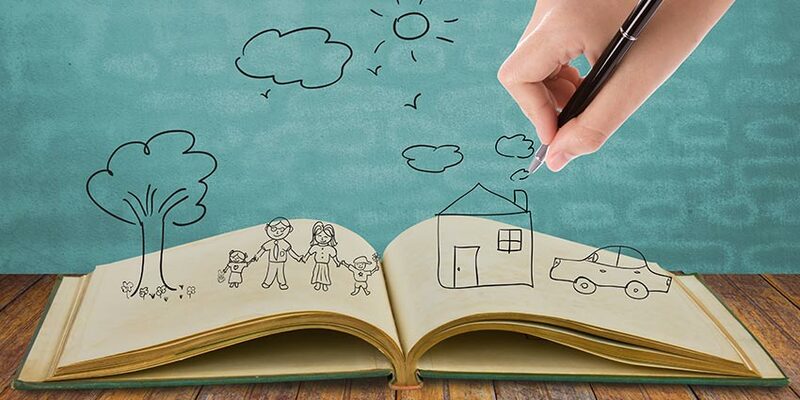 Improving the lives of people who choose to live in less space is one of the primary goals of Compact Appliance. The tiny house movement epitomizes why our company exists. This growing core of society elects to enjoy a simpler life. Many participants actively rebuff the grandiose lifestyles beamed daily into the average American’s consciousness. While most citizens partaking in the small house movement proudly seek increased sustainability, they still want to enjoy modern conveniences. Compact Appliance can help people living in smaller spaces enjoy convenient refrigeration, dishwashing, heating and cooling. These are key categories where our company helps fill the gap between sustainability and modern convenience. It can be hard to squarely define tiny houses – no pun intended. Sizes typically range from between 80 and 1000 square feet. When the houses are less than 200 square feet, they are frequently built for easy portability on trailers. Easy to follow plans allow users to invest sweat equity. They usually range in cost between $20,000 and $80,000 to build. Obviously, if your tastes leave you craving a 24 carat golf plated thrown instead of the usual porcelain variety, your costs might exceed these figures. As with most large investments, research is the key to success. 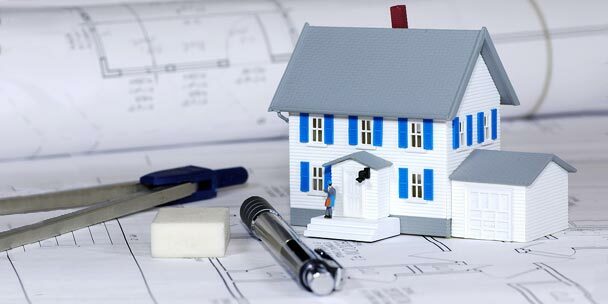 In the case of a future residence, this exploration should be both external (recommendations, plans, financing, etc.) and internal (what space fits your needs). We can’t help you with the internal questions, but we can help with a few external ones. A simple Google search for, “tiny house plans” renders the same result for both the 1st and 2nd position. The ranking is held by our friends at Tumbleweed Houses. Tumbleweed is considered the authority on this subject. They sell plans for houses ranging in size from 117 to 874 square feet. They also sell the trailers to accompany portable builds up to 174 square feet. Obtaining a loan for tiny houses can be tricky. Traditional banks aren’t known as bastions of progressive thought. This area is no exception. The majority of banks don’t see enough resale value to merit a loan. Homes on the smaller end of the spectrum are especially prone to this fate. The problem is that square footage in comparison to other home sales in the area is usually the largest component of traditional appraisals. Tumbleweed offers up to 15 year financing for a few of their pre-built models on trailers. Since these models are on trailers, they are certified as RV’s, which allows them to be financed with a conventional RV loan. This can be a great option if you have solid credit and 10% to put down because they have loan rates are currently as low as 6%. In addition to the RV financing option, Tumbleweed also has a financing option for Amish Barn Raiser models with rates currently as low as 1.9% for qualified buyers. Alex from Tiny House Talk has discussed a Kickstarter type system of community funding. I’m not sure if this is a reality yet. He is using TinyHouseLoans.com to generate leads for this service. Even if you buy pre-configured building plans, you will still need to find the tools, lumber, windows, roofing supplies, etc. Ryan from The Tiny Life assembled an extensive checklist based upon his experience building a tiny house. For our purposes, the most important components of a tiny home are the appliances. As you can imagine, living in a tiny home limits the amount of available space you have for your appliances. Some of the typical appliances you’d find in a larger home simply won’t work in this scenario. Here are the five most popular appliances for those living in a tiny house. Combination washer dryers allow users to wash and dry clothes right in the same machine. They are the perfect all-in-one laundry solution for a tiny home. Traditional vent connections aren’t required for all combo units. If your combo unit isn’t vented, then the drying process may take a little longer. Most still regard this machine as a life saver, especially when space is limited. The EdgeStar CWD1550W is the most popular combo unit on the market, but there are many others you can choose from. Click here to see all units. Compact dishwashers range from portable countertop units with sink connections to 18” units that look and perform like their full-sized siblings. For reference, the standard size dishwasher you would find in most homes is 24 inches in width. An extra 6 inches of space saving can be a game changer in a smaller environment. As a side note, I personally owned a Koldfront PDW60EB when I lived in a 264 square foot apartment after college. This was long before Compact Appliance entered my lexicon. All I knew at the time was that it was a life saver. Click here to see all units. A refrigerator is another essential appliance you will need. You can choose between a variety of different sizes, from 1.1 cubic feet to a little less than 14 cubic feet. For tiny homes in particular, mini fridges or midsize refrigerators are two very popular options. Standard size refrigerators over 20 cubic feet tend to over power the atmosphere of a tiny house. The folks at Smeg make a cute retro fridge with a little more than 9 cubic feet. Unfortunately, the $2,000 price tag makes these refrigerators unattainable for many. If you fall in that category, you can buy an Avanti with 7.4 cubic feet of space for less than $500 shipped. This unit is sure to be a perfect fit for both tiny budgets and houses. Click here to view all units. Your options for temperature control range from ductless mini splits, window A/C units and portable A/C units. Mini splits and window units are significantly more energy efficient than a portable AC. However, they all come with their own set of pros and cons. The main drawback of a mini split is that a licensed HVAC contractor is required for installation. A window unit can be a great compromise because they are efficient, inexpensive and can be installed by the owners, but then you have a potential eye-sore defacing the allure of your tiny home. Portable air conditioners are the most convenient option for both installation and use. If you choose a smaller fridge, it likely won’t have an ice machine built into it. While a completely optional luxury, if you want to have a steady supply of ice then you’ll either have to deal with filling up the trays in your freezer or buy an ice maker. Most people opt for a portable ice maker that can sit on their countertop. From small countertop units that are easy to move around to units built directly into the countertop, these units can be a great addition for owners with a small freezer but large need for ice. There are plenty of options to choose from, including many units that can make over 20 pounds of ice per day and priced as low as $100. Click here to view all ice makers. Enchanted forests and mountain sides are my favorite tiny house setting. Even if you can’t obtain such a picturesque plot, the portable nature of many homes means they can be located almost anywhere. Some locations might require out of the box permitting maneuvers to overcome archaic laws about minimum space requirements. Fortunately, tiny house folks are good at thinking outside the box. Building a tiny home is a great way to simplify your life. This movement has picked up steam in recent years, and the path has never been more attainable. If you decide to take the leap, Compact Appliance and its friends are here to help you make the transition with ease and style. 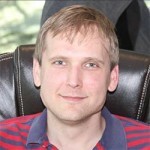 Andrew Woolbert is a graduate of the University of Texas at Austin. His career and passions led him to become an affiliate manager starting in 2010. He is primarily interested in using technology to improve lives through the transparent flow of information. I am interested in the water systems….how to collect, refine it, etc. The tiny house may be new to some but I live in a home built in 1943 and it has 702 square feet of living space. I would say that the most used compact appliance is my Haier combo washer-dryer. This is my second unit. The first I bought in a one bedroom apartment and used as a portable, rolling it into and out of the closet to hook up to the sink in the galley style kitchen. Here I have a defined space that I have claimed as my laundry room and have a more permanent installation for my washer-dryer. With every square foot being required to yield the greatest return I would say this combo unit has been one of my best investments. I’m fascinated with small houses and teardrop trailers. I’ve been building log homes for over 35 years. 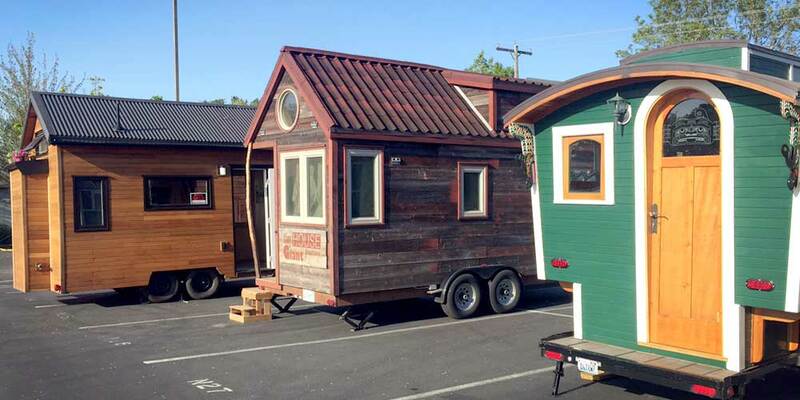 I see many trailer designs that are very livable and do not weigh nearly as much as these tiny houses will weigh. Why not live in trailers? 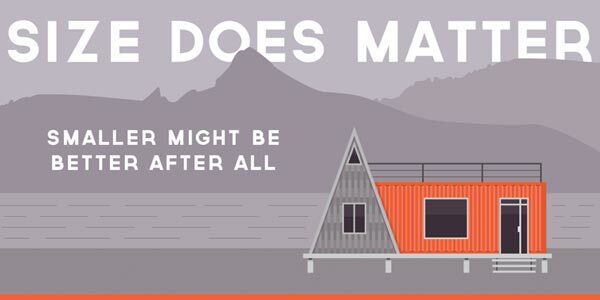 What are the advantages to tiny houses over trailers ? The biggest advantage is durability. A good number of us who want to live tiny are either not willing to tie ourselves to a 15 year debt or don’t qualify. However, we want to live in something that is as solid as a standard built home. It is possible to do that and still keep the weight down. We plan to use SIPs for our frame on our tiny home on wheels (THOW) for our group. If you do a bit of research, you will see that you can still use wood for your build and keep the weight down. Can you tell me the source of the tiny house with the shed roof and red door at the top of this article? I would like information about on-demand water heaters for a VT climate and water pumps. I found and RV water pump I like, but I don’t know a lot about on-demand reasonably priced water heaters outside of tropical climates. i want to know more like how to find out where to purchase one? My tiny house is actually a stealth cargo trailer that has been modified on the inside to provide all of the necessities I could wish for. I’m currently coming up on 5 years in the stealth cargo trailer and I love it! I am interested in having my property utilized as show or to build and rent tiny houses. I have 5 acres in DE, zoned A right now. I am interested in talking to a builder. I would like package prices and/or one vs. 5 to cut costs. (3-4 yrs realistically). I am trying to locate a 2 bdrm main level – i have drawn them yet cant find built already- Ant reasons why! ?